Project design here. 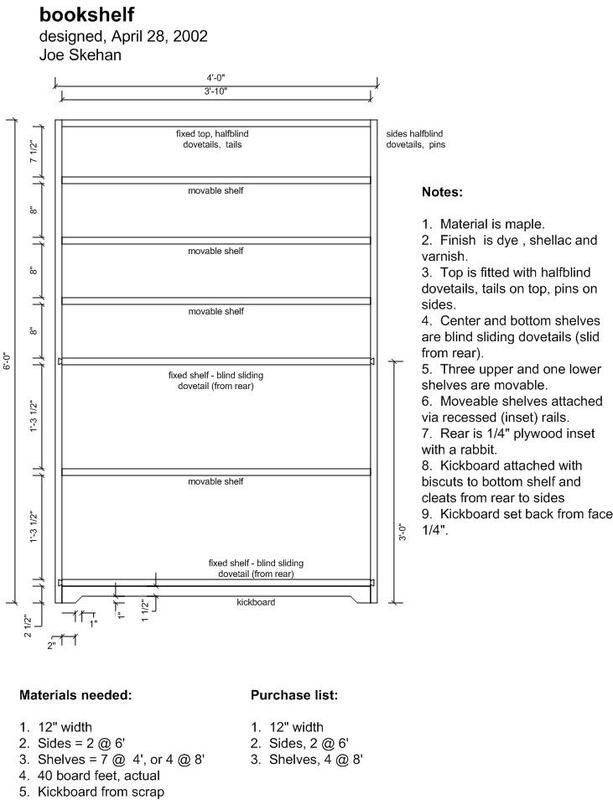 I stayed pretty close to the design, but reduced the width and included one less moveable shelf. Finish: Water based dye. Watco natural, 2 coats. Orange shellac 1lb cut 2 coats. Highlights: blind sliding dovetails for fixed shelves and half-blind dovetails for top. My first step was to glue up each pair of boards to create the stock I needed. 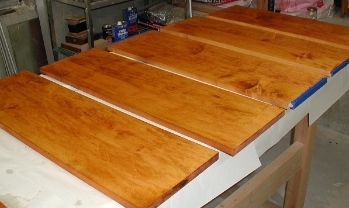 Here are the 5 glued up panels of ready to work stock. With the panels to size, I cut the blind sliding dovetail slots for the lower 3 panels My DW621 has a very small base plate and I found it difficult to register well against my Leigh jig. Here's my slip, and the repair I made. 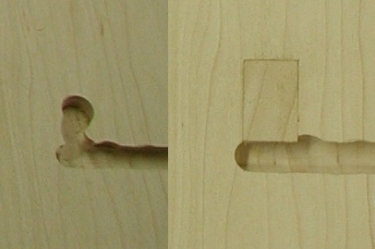 Detail of the blind sliding dovetail assembly. The top of the case is held with half-blind dovetails shown here. As I head out for a week of working on the road, here's my pile of pieces.